On September 27th, 2017, we welcomed Debbie LeeKeenan, Dr. Caryn Park and Dr. Maggie Beneke to kick off of 2017-2018 Educator Discussion Series focusing on Anti-Bias Education. Their workshop titled: Using Children’s Literature to Provoke Conversations on Challenging Topics focused on how to use the power of pictures, illustrations, films, and literature to learn about, and rejoice in who we are as a diverse community. This session also explored how to use children’s literature and read-alouds as a way to provoke and facilitate conversations on potentially challenging topics with young children. 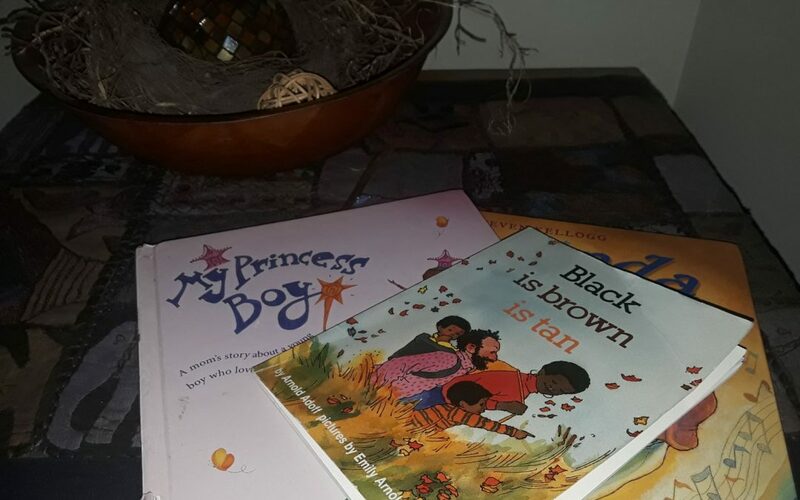 As we approach Black History month, a time where many children of color may be subject to more racist and derogatory remarks than usual, we revisit this session with part one of a four part series to help aid you in building a comprehensive list of Anti-Bias books. After-all, as literary gatekeepers of our classrooms and homes, it is our duty to cultivate a more inclusive library collection! Context: What needs to be in place for this book to be effective? Relationships: Does this book connect authentically to you, your children, families or networks? Children’s Knowledge: What do the children know about this topic/issue? What are their questions? Pedagogy: How will you share this book and respond to questions/responses? Continuity: How will you continue the issues raised in this book in the future – to ensure depth and complexity? The visual and verbal messages young children absorb from books and other media strongly influence their ideas about themselves and others. (For more on how children form their identities, please join us for our next EDS event on Feb 8th, 2018 titled: Who am I? Understanding Children’s Identity Formation facilitated by Dr. Sarah Lytle, Director of the University of Washington Institute for Learning & Brain Science (I-LABS)). Therefore, carefully choosing children’s books is a vital educational task. Here are the first two out of ten ideas to consider when reviewing children’s books for misinformation and stereotypes. Look for stereotypes AND tokenism – A “stereotype” is an oversimplified generalization about a particular group that creates the idea that we know something about an individual person based on the person’s perceived membership in that group. All books should depict people compassionately and as complex human beings. If the books contain stereotypes, either engage the children in critical thinking (e.g., “Do the people in this book look like all the people you know? Who’s missing?”) or eliminate the books from your collection. Regularly seeing only one of any group—either in your book collection (e.g., one story about Mexican Americans among many books about White families) or in a story itself (e.g., one African American child among many White children)—teaches that the token group is less important than the other group(s) featured. Do the stories typically depict people of color, girls, children from low-income families, and children with disabilities as dependent or passive, while depicting White people, boys, members of the middle-class, and “able-bodied” children in leadership and action roles? Who typically causes a problem and who resolves it? Are problems always solved individually, or do some books show a group of children and/or adults working together to solve a problem? To gain acceptance and/or approval in the book, does a child of color, a girl, or child with a disability have to exhibit extraordinary qualities? Are the achievements of girls and women due to their looks or relationship with boys and men, or are they based on their own initiative and intelligence? Two Eyes, A Nose and A Mouth by Intrater. R. (2000). A child’s foundation for respecting and valuing difference beyond their own families and communities starts with you! Please check back for the second installment of our series where we will recommend children’s books focusing on Different Abilities and Economic Class. While most anti-bias curriculums begins by focusing on the children and families – creating the foundation for valuing differences – some organizations forget to focus on the staff that represents their programs. 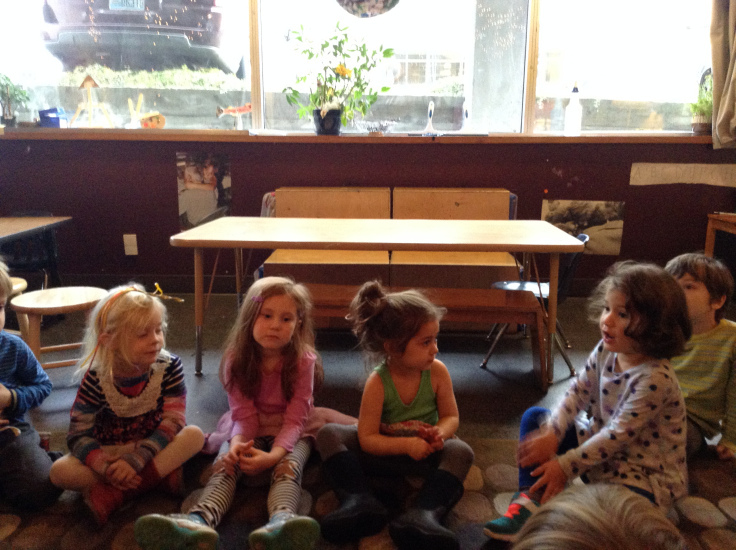 Hilltop Study Days and Inquiry Days (multi-day visits), are full day visits to Hilltop to see child-centered and reflective practice in action, while exploring proven models for supporting responsive curriculum in your own programs. These visits will allow educators and leadership staff to discuss practical strategies for planning curriculum that builds directly from the interests and needs of the children and families in your schools. Join us to discover organizational systems and administrative practices that can bring your own program values to life! For more information please visit either Hilltop Study Days or Inquiry Visits, or email Mike at institute@hilltopcc.org. For more information on Hilltop Educator Institute Click Here!